Interplast Borehole Casings and Screens are manufactured from unplasticised polyvinyl chloride polymer (uPVC) which is a thermoplastic material. The distinctive blue color of the pipes makes them easily recognizable. 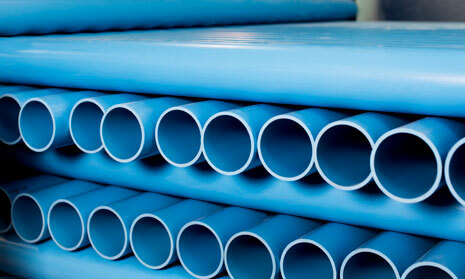 Threading of the pipe ends is done by our production experts on well-maintained equipment. Interplast Bore Hole Casings and Screens are available in diameters from 100 mm – 400 mm and can be designed for up to 200m depths in the right ground conditions. The Bore Hole Casings and Screens are available in Trapezoidal thread with socketed female end according to DIN 4925.They come in standard 1.2 or 3 meter lengths. Manufactured from special uPVC compound for extra toughness. Anti-corrosive. uPVC being is inert to the chemicals found in soil and water. The casings are produced under strict control of pipe wall thickness and diameter. This ensures thread uniformity and therefore reliability. Trapezoidal thread formation provides an easy, perfect and strong joining system which allows joints to be removed and rejoined several times without causing any damage to the thread pitch. Smooth surface finish reduces hydraulic friction and increases pump efficiency. Different Slot widths are available to satisfy the requirements of different rock formations. Suitable for water temperatures up to 70 C.
Economical to buy and install.